CALGARY - Team Alberta’s penchant for the dramatic was on display once again, skating away with gold at the 2016 Western Canada U16 Challenge Cup after a 3-2 overtime win over Team BC. Carter Chorney played the hero for Team Alberta, scoring the medal-winning goal just 31 seconds in to the extra frame. Team Alberta jumped out to a 2-0 with goals from Ethan Browne and Dylan Holloway, and took a 2-1 lead into the third period after Ethan Leyh replied for Team BC. Alex Swetlikoff knotted the score at two with just five minutes left in the game, setting up a dramatic, albeit short, overtime battle. Goaltender Taylor Gauthier stood tall for Team Alberta in net, stopping 32 of 34 shots en route to a gold medal. Roman Basran took the overtime loss for BC, making 26 saves on 29 shots. "We got the job done today, it was a close game," said Head Coach Bram Stephen. "All week, there were certain points in games, in the Saskatchewan game they tied it up late, and in this game (BC) tied it up late, and it wasn’t easy, none of the games were. They all seemed to come together in key moments, the group got closer as the week went on, and they played a strong team game." Earlier on Sunday afternoon, Team Manitoba took the bronze medal after defeating Team Saskatchewan 4-1. The first coach of the month award for the 2016-17 season goes to Josh Gork of Edmonton. Josh is the head coach for the KC West Peewee Ice Wolves. This is his third year head coaching, and he has previously coached teams at the Peewee and Atom levels. Team Alberta forward Carson Dyck, with his father Mike, a former Team Alberta Head Coach. CALGARY – When Hockey Alberta named Carson Dyck to its 2016 U16 Male roster in September, he and his father Mike became a part of Team Alberta history. With Carson suiting up at the Western Canada U16 Challenge Cup, and Mike serving as Head Coach of the silver-medal winning U16 Male squad at the 2015 Canada Winter Games, the pair became the first ever father-son duo to represent Team Alberta. The Dyck family hails from Lethbridge, where Carson, a 2016 second-round pick of the Swift Current Broncos, currently plays for the Lethbridge Hurricanes of the Alberta Minor Midget AAA Hockey League. Mike came into his role with Team Alberta in 2015 with a lofty coaching pedigree, spending 11 years coaching in the Western Hockey League – three of those as the head coach of the Lethbridge Hurricanes. Mike definitely left a lasting impression on the Team Alberta program. Given his dad’s track record with Team Alberta, Carson definitely felt a bit of pressure during the entire evaluation process, and heading into the U16 Challenge. Mike, who made the trip north to Calgary to watch his son compete with Team Alberta, said he’ll be taking in the competition from the perspective of both a former coach, and a parent. CALGARY – Team Alberta will defend the Western Canada U16 Challenge crown after a 3-2 victory over Team BC on Friday night. Connor Bouchard scored the winning goal with just over six minutes to play, as Team Alberta finished the round-robin portion of the tournament with a perfect 3-0 record. Ethan Browne and Dylan Holloway assisted on the game-winner. Brayden Tracey took care of the rest Team Alberta’s offence with his third and fourth goals of the tournament to erase an early 1-0 BC lead. Tracey got his first of the game with less than three minutes remaining in the second period, on assists from Peyton Krebs and Kirby Dach, and followed that with a penalty shot tally just over a minute into the third period. BC tied the game 2-2 three minutes later, setting the stage for Bouchard’s winner. Joshua Williams scored both goals for Team BC. Byron Fancy earned the win in net for Team Alberta, stopping 25 of 27 shots. Roman Basran took the loss in the BC net. Tracey and Williams were named the players of the game. Team Alberta advances directly to the championship final on Sunday at 1 pm. They will play the winner of Saturday’s semi-final between Team BC and Team Saskatchewan. Saskatchewan earned its semi-final berth with a 3-2 overtime win over Team Manitoba Friday afternoon. For more stats, schedule and ticket information for the Western Canada U16 Challenge, click here. CALGARY – After narrowly escaping with a win against Saskatchewan to open the Western Canada U16 Challenge Cup, Team Alberta left nothing to chance on Thursday night, taking down Manitoba 5-1 to move to a perfect 2-0 record. Manitoba struck first just 1:32 into the game, but Alberta responded with five unanswered goals to skate away with a victory. Brayden Tracey paced Team Alberta with a pair of goals, while Carter Souch had two points of his own with a goal and an assist. In his first start of the tournament, netminder Byron Fancy stopped all but one of the 31 shots sent his way by Manitoba. Fancy’s counterpart Danton Belluk also made 30 saves, allowing five goals on 35 shots. With an assist on the game-winning goal by Ethan Browne, defenceman Bowen Byram was named the Player of the Game for Team Alberta. Manitoba blueliner Michael Ladyman earned the honours for his team. The win sets up an exciting match-up with Team B.C. on Friday night, as both teams come into the game a perfect 2-0. The winner of Friday’s game will finish in first place, and will advance straight to Sunday’s gold medal final. Game time is 6:30 p.m. at the Markin MacPhail Centre at WinSport. RED DEER – A unique learning opportunity awaits minor hockey coaches in Central Alberta with Hockey Alberta’s new Rebels Game Day Coaches Series. The exciting new partnership between Hockey Alberta and the Red Deer Rebels of the Western Hockey League will offer five different seminars between November and February, offering the chance to learn from some of the top coaches in the game. All five seminars take place at the home of the Rebels, the Enmax Centrium, and feature a pre-game presentation from one of Hockey Alberta’s Coach Mentors, Fran Gow or Barry Medori, a visit from the visiting team’s Coach, a ticket to watch the Rebels game, and a Q&A session after the game with Brent Sutter, Head Coach and General Manager of the Red Deer Rebels, along with other Rebels staff. Seminar dates, details, and registration information can be found below. Each seminar has a maximum capacity of 20 participants, and registration is on a first come, first serve basis. For more information, please contact Jesse Hale, Manager, Hockey Development. CALGARY – With overtime all but a certainty, Team Alberta opened the Western Canada U16 Challenge Cup with a 4-3 victory over Saskatchewan, thanks to Dylan Holloway’s goal with 2.6 seconds left in regulation. Alberta jumped out to an early 2-0 lead, but Saskatchewan pulled within one late in the first, and tied it in the dying minutes of the second period. Team Alberta took the lead again in the third, only to see Saskatchewan tie it yet again, setting up the dramatic finish from Holloway. "I thought we came out really strong in the first period," said Head Coach Bram Stephen. "We were sharp, we were snappy, we were playing hard at both ends of the ice, and we were engaged. It probably went that way until about mid-way through the second, and then we started getting a little bit loose in our structure and discipline, we had to kill off some penalties, and that could’ve been a bit better." "You’ve got to give Saskatchewan credit, I thought they played a really good third period, they battled back from a deficit a couple of times, and we got some timely goals, obviously," said Stephen. "There’s a lot to work on as far as structure goes and just making sure our group is accountable to eachother, but, you know what, it’s a win, and it puts us in a better situation moving forward." Captain Peyton Krebs led the way for Team Alberta, scoring two goals and setting up Holloway for the game-winner, earning Player of the Game honours for his efforts. Liam Keeler pitched in a goal and and assist for Alberta, while defender Jake Lee added two helpers. Taylor Gauthier made 18 saves for Team Alberta, while his counterpart Logan Maier made 22 stops for Saskatchewan. Logan Barlage was named the Player of the Game for Saskatchewan, who will face Team B.C. Thursday afternoon. Up next for Team Alberta is Team Manitoba, who fell 7-3 to B.C. on Wednesday afternoon. Game time is 6:30 p.m. at Markin MacPhail Centre at Winsport. CALGARY – The title defense is on for Team Alberta U16 Male, as the 2016 Western Canada U16 Challenge Cup begins today in Calgary. Team Manitoba and Team B.C. kick off the tournament this afternoon (Wednesday) at 3 pm, while Team Alberta’s quest for another championship begins tonight at 6:30 pm against Team Saskatchewan. Team Alberta also hits the ice again Thursday night against Team Manitoba, and wraps up round-robin play Friday night against B.C. All three Team Alberta games are set for 6:30 p.m. at the Markin MacPhail Centre at WinSport. Wednesday night’s game also marks a very special occasion for Team Alberta – the official unveiling of jerseys that feature Hockey Alberta’s new logo. Team members first saw the new jerseys on Monday during a team photo, but this will be the first time players representing the province of Alberta have donned the new logo in competition. The winner of round-robin play advances straight to Sunday’s Championship game, while the 2nd and 3rd place teams will battle in the semi-final on Saturday afternoon. The Western Canada U16 Challenge Cup will feature the highest-rated players in the under-16 age category from the provinces of British Columbia, Alberta, Saskatchewan and Manitoba. The four-team round robin tournament is the first step in Hockey Canada’s Program of Excellence for players. The majority of players participating in the event were selected in the 2016 WHL Bantam Draft or have since been listed by WHL Clubs. The Western Canada U16 Challenge Cup is made possible through financial support provided by the WHL and Hockey Canada. CALGARY – Minor hockey teams from across the province have the chance to cheer on Team Alberta at the2016 Western Canada U16 Challenge Cup in Calgary, which runs Oct 19-23 at WinSport. Team Alberta will be on the ice for the evening game each night during the preliminary rounds of the tournament, and your entire team can take in the action for just $100 thanks to a specially-priced Minor Hockey Package. The package includes 20 tickets, and if you need more tickets, they can be purchased at $5 apiece. Contact marketing@whl.ca to purchase your team’s ticket package, and then get ready to cheer on your fellow Alberta players. Teams are encouraged to wear their minor hockey jerseys to show their support. Tournament passes featuring all nine games are now on sale at a rate of $40 per pass. Tickets can be purchased online or at the event. Click HERE to purchase your tournament pass. For more information on the Western Canada U16 Challenge Cup, click HERE. RED DEER – Hockey Alberta is proud to announce the City of Lethbridge as the host site for the 2017 Peewee Prospects Cup. The University of Lethbridge Pronghorns hockey program will assist Hockey Alberta with the execution of the Peewee Prospects Cup. The City of Lethbridge is no stranger to Hockey Alberta events, having previously hosted the Albert Cup in 2011 and 2012. The Peewee Prospects Cup is a core development program for male players, and the first step in the Team Alberta Male program. The event provides players, coaches, therapists, equipment managers, administrators and referees an opportunity to discover the great qualities of competitive hockey. The Peewee Prospects Cup runs every second year, alternating with the Alberta Winter Games. The inaugural Peewee Prospects Cup was held in 2015 in Olds. The 2017 Peewee Prospects Cup features 2004-born male players, and begins with four regional camps in April, designed to allow athletes, coaches and trainers to show their skills and receive top-level instruction and evaluation. The top 40 athletes from each regional camp (two teams from each camp), six coaches, two coach mentors and two directors of operations will be selected to participate in the Hockey Alberta Peewee Prospects Cup competition. If you have any questions about the Peewee Prospects Cup, please contact Dustin Moore. RED DEER – Nine members of the Western Canada U16 Challenge Cup-winning Team Alberta squad are set to suit up for Team Canada this fall. Goaltender Carl Stankowski, defencemen Sean Comrie, Ty Smith and Jonathan Tychonick, and forwards Elijah Brown, Eric Florchuk, Tristen Nielsen, Josh Tarzwell and Chase Wouters are among the 66 players named to represent Canada at the World Under-17 Hockey Challenge. Smith and Nielsen are also among the players selected who already have international experience, winning a silver medal with Team Canada at the 2016 Winter Youth Olympic Games. The process, which began with 111 players who took part in a seven-day development camp in late July, will be finalized next week when the 66-player roster is divided to make up the three Canadian teams – Team Canada Black, Team Canada Red, and Team Canada White - who will face the Czech Republic, Finland, Russia, Sweden, and the United States in their quest for gold. Hockey Canada’s Program of Excellence officially begins with the under-17 development camp in July, and runs through the men’s high-performance camps and teams up to, and including, Canada’s National Junior Team. The 2016 World Under-17 Hockey Challenge runs Oct 27 – Nov 5 in Sault Ste. Marie, Ontario. Help us celebrate the female game! For the sixth year in a row, the women’s hockey world will come together for three days – this year from Oct. 7-9 – to celebrate World Girls’ Hockey Weekend. In addition to local events, the centrepiece of the weekend for Canadians, as it has been for the past three years, is the Long Game, which brings together players in every province and territory for Red and White bragging rights in five age groups – Atom, Peewee, Bantam, Midget and Senior. This year, Edmonton will host the Alberta leg of the Long Game. For more information about the Long Game in Edmonton, including a game schedule, click here. Welcome to the Hockey Canada Community, a new webpage that will feature grassroots content on a weekly basis. The Hockey Canada Community will feature the people and the stories that make hockey happen in communities across Canada, as well as a new video blog series, ‘Tom’s Talks’, featuring Hockey Canada’s President & CEO Tom Renney. 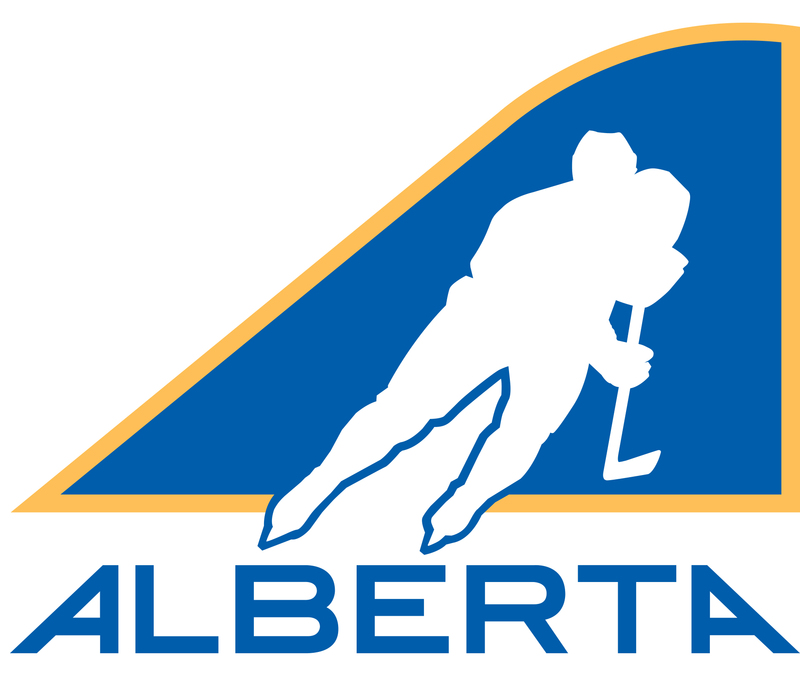 RED DEER – Hockey Alberta is proud to announce the Team Alberta rosters for the 2016 U16 Male and U18 Female provincial teams. The U16 Male squad will compete in the Western Canada U16 Challenge Cup and the U18 Female team will represent Alberta at the National Women’s U18 Championships. The U16 Male squad won the 2015 Western Canada U16 Challenge Cup. The team will seek to continue Alberta’s success at the event, Oct. 19-23 at the Markin MacPhail Centre (WinSport) in Calgary. "We are incredibly pleased to see our roster announced today,” said Head Coach Bram Stephen. “The 20 young men we have selected are deep in skill and character, and our coaching staff is excited to start working with the athletes and help Team Alberta become a strong cohesive unit." For ticket, schedule and roster information for the Western Canada U16 Challenge Cup, click here. The U18 Female team heads to the National Women’s U18 Championships in Regina, Nov. 9-13, looking to improve on last year’s eighth-place finish. "As a staff, we are incredibly excited about the team we’ve been able to assemble,” said Head Coach Carla MacLeod. “It’s a group that is willing to earn their opportunities and we’re all looking forward to representing Alberta with pride next month." Prior to the Nationals, the U18 Female squad will play an exhibition game in Calgary on Saturday, Oct. 16 at 11 a.m. against the Bantam AAA Calgary Flames at the Kyle Stuart Arena, located at Edge School for Athletes, 33055 Township Road 250 in Calgary. RED DEER – The 2016-17 season for the newly-created Alberta Female Hockey League begins today (Saturday) across the province. All six Midget AAA teams are in action Saturday, officially kicking off the league’s inaugural season. The Lloydminster PWM Steelers are at home against the Rocky Mountain Raiders, the Calgary Fire are set to host the Edmonton Pandas, and the St. Albert Slash pay a visit to the Red Deer Sutter Fund Chiefs. The Midget Elite and Bantam Elite seasons both get underway on October 15. Keep track of all the action on each league’s website, or by following the AFHL on Twitter. October 07, 2016 Help us celebrate the female game!